For this mani I painted my nails with Boots No. 7 Devil’s Delight (2 coats). 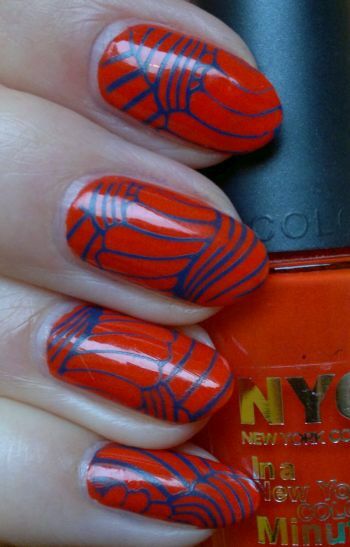 This is a gorgeous red polish. I love everything about it. 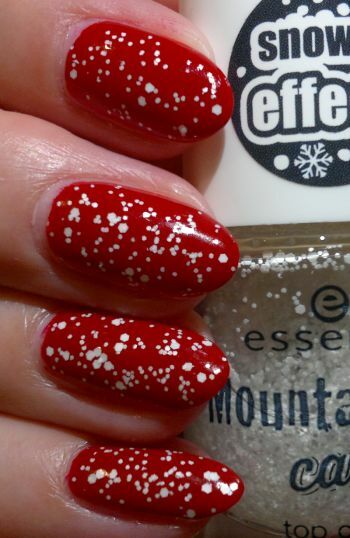 Before I applied 1 coat of Essence Mountain Calling Snow Effect top coat, I applied 1 coat of clear polish. 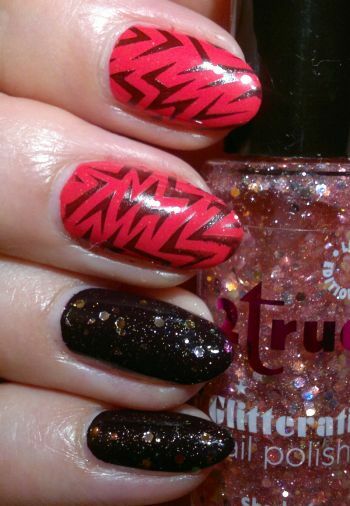 I did this to make sure the top coat stays pretty (and without it taking on an unwanted pink hue from the red polish). 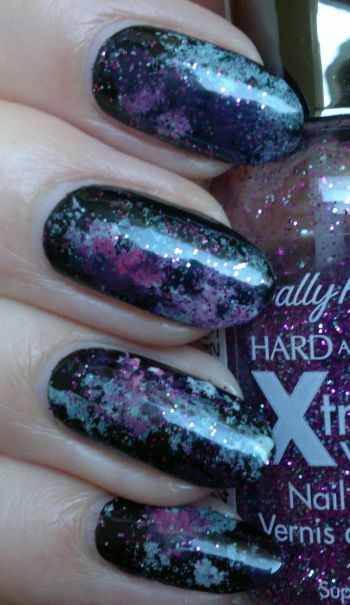 I liked this mani very much. It was super easy to do, and I think it looked cute and christmassey. 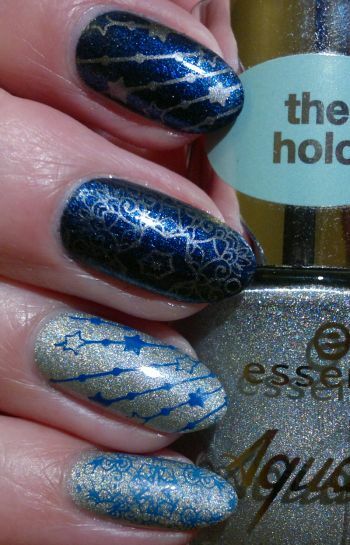 The snow effect top coat is simply awesome! Thanks, Essence! 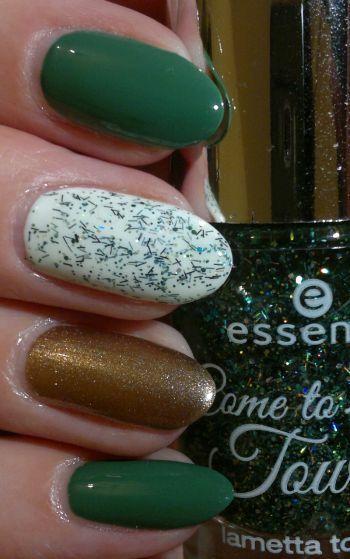 For this mani I painted my nails with Rimmel I ♥ Lasting Finish 046 Shout Out Loud (green), PS… Nail Polish Marshmallow (white), and Sally Hansen Xtreme Wear Time To Shine (gold). 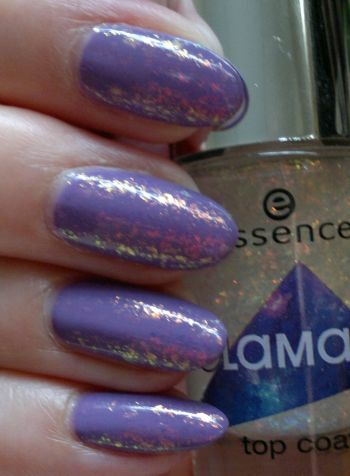 The glitter top coat I used on my middle fingers is Essence’s Come To Town Lametta Topper. I like this mani because it was easy to do, and because it doesn’t look like any of those standard Christmas manis that everyone (and that includes me) does this time of year. What do you think? Do you agree? Feel free to comment. And thanks for stopping by!